LEOGEN ENERGY offers excellent product support for all its products may it be GENERATORS, PUMP SETS, ALTERNATORS, DIESEL ENGINES AND SOLAR PRODUCTS. As a matter of policy we insist and ensure that PRODUCT SUPPORT In terms of after sales service, warrantee Service and spare parts are positioned and placed at our worldwide dealer network and only after that we sell our products. 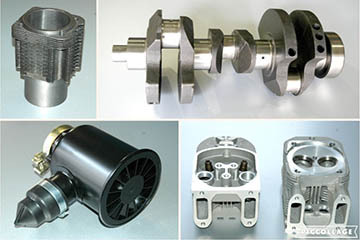 Our Principal Companies, who are the Actual manufacturers of Engines and Alternators such as PERKINS, DEUTZ, VOLVO PENTA, VOLVO EICHER, YANMAR, STAMFORD, LEROY SOMER, DEEP SEA ELECTRONICS etc., do have their own network of service dealers worldwide and all the warrantee services and spare parts are supplied by these dealers for our Generator customers. Toll free numbers are provided to every customer by these service dealers in their respective countries to offer 24x7 Services.